Brother continues to set the pace for delivering award-winning solutions designed for exceptional performance and cost-savings. 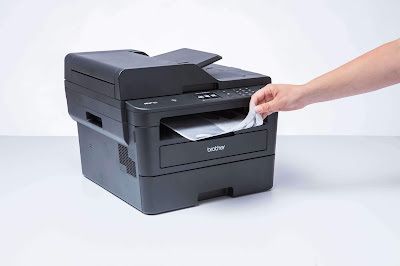 With its recent wins in PC Mag Readers’ Choice Award (8 years in a row) and PC Mag Business Choice Awards (4 years in a row), Brother’s commitment to its ‘Customer First’ approach shows in its latest series of mono laser printers and Multi-Function Centers (MFCs) for today’s business environment. Brother’s uncompromising dedication to quality is what makes it stand out from its competitors. Brother has won PC Mag Readers’ Choice Award for an unprecedented 8 years in a row, as well as PC Mag Business Choice Awards for 4 years in a row, scoring the highest in overall customer satisfaction and reliability, as well as likelihood to recommend. All prices are inclusive of the prevailing taxes and include a 2-year warranty. These new Monochrome Laser Printer and Multi-Functions are already available at all authorized Brother dealers nationwide. For more information on these models, visit www.brother.com.ph.